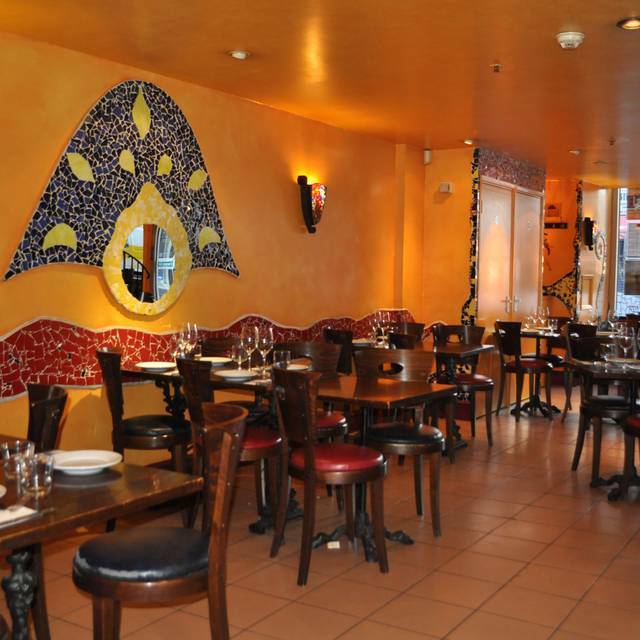 You must make bookings at least 5 minutes in advance of the time at Barcelona Tapas - City EC3. Tapas ‘n’ Jazz alternate Wednesday nights. Sporting events shown on 3 large screens. 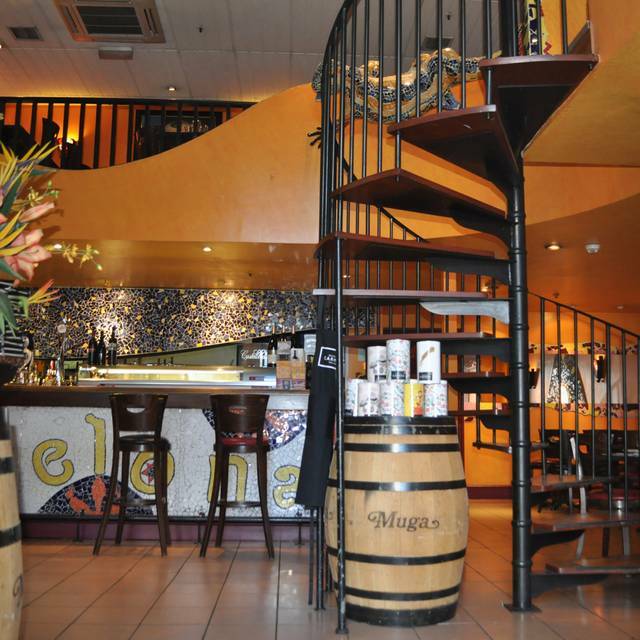 Bodega hosted Wine Tasting Dinners throughout the year – check our website for more information. Barcelona II is located within a large prestigious office complex with the official address of 15 St Botolph Street although the restaurant frontage and customer entrance is located at ground level on Middlesex Street. Barcelona II consists of a ground level comprising a combination of bar area and traditional table and chair seating and a mezzanine level providing only traditional tables and chairs. Private parties of up to 200 people can be catered for. Our Paellas are made to Order. Please be aware, 30/35 mins preparation time is required for these dishes.You may pre-order your Paella in Advance when booking! Rich Chocolate Ganache served with crusty bread, Extra Virgin Olive Oil and sprinkled with Sea Salt (a Catalan classic). Why not with Ordonez No 2 Victoria Moscatel! We went here for our valentines meal and it was fantastic, great food, great service and the price was good. Will definitely be coming back! I have eaten here off and on since it opened in the early 90's (yes that long). Staff have changed of course, but the food seems to always be consistently good and the wine list decent. Well worth a visit. Very lovely place, quiet during the day but that’s the beauty of it. Welcoming and attentive staff, food quality is fantastic. 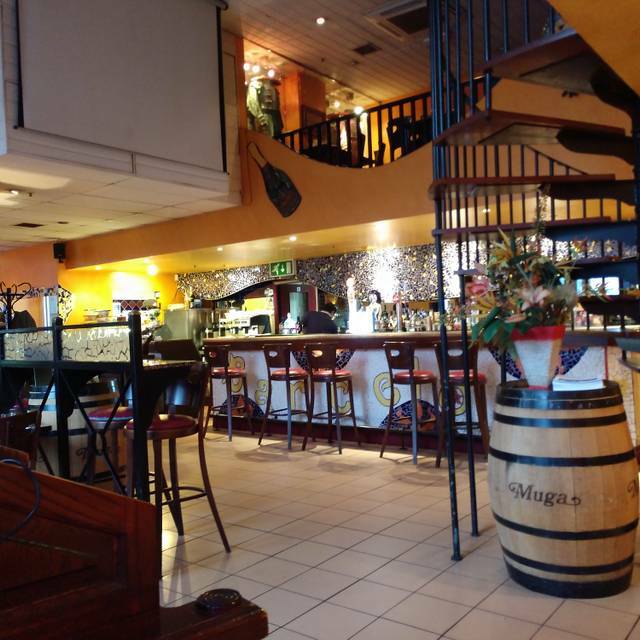 Great friendly place with good service, wine and tapas. The service was brilliant, as for the food, well that was absolutely outstanding. The fact I ordered more, is testament to that. The chocolate ganache with bread, olive oil and sea salt, blew me away, it just works. Midweek birthday meal. Service excellent. Food was lovely. Nice place. Little quiet. Have been before and would happily go again. Food was great but the service was abysmal. Staff member was asked 3 times to serve a drink at the bar but insisted it was someone else job. Asked for a dessert that never materialised. All in all would not go back. Good quality tasty tapas. Authentic music played which set the scene nicely. We were literally the first and only people in the restaurant for half an hour, but I’ve no doubt this place is buzzing with city workers during the week (we went on a Saturday). If you don’t like hanging around a restaurant all night this place is perfect, we were in and out within just over an hour, but didn’t have desserts etc. Only niggles are that the lamb was a bit tough and the calamari was very salty; but the rest of the food we had was absolutely delicious. The menu is big so if you’re not fussy perhaps ask the waitress for her recommendations. The tapas here are very good and I really enjoyed the variety on offer. The food and drink is good value and service very good. The AC was also very pleasant in the current temperatures. Great menu. 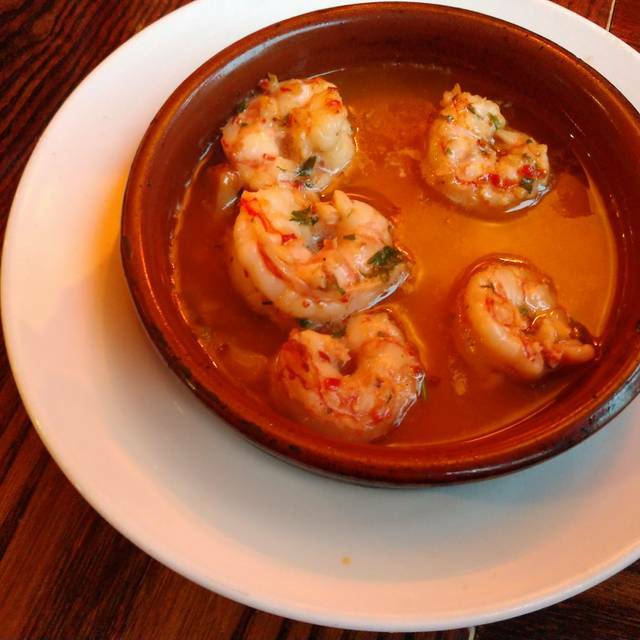 If you don't know tapas, ask your server. You won't be disappointed. The tapas were authentic and the ham was excellent. The Rioja was good value. Service was fantastic and the coffees tremendous. Super food (especially the octopus) and the waitress could not have been more absolutely charming. Recommended. Very quiet for lunch the day after Easter weekend but food was OK and staff were friendly. Seemed a very extensive menu and drinks list - would go back again to explore more options. We booked this for an evening get together with our daughter and boyfriend - found the tapas excellent, better than we had in Seville recently. Very friendly staff, the dessert came with a candle and Happy Birthday music when they realised our daughter's boyfriend had had a birthday recently. Was livening up when we left (about 10pm) which is typical of Spanish restaurants. Thoroughly recommend. We took a client out here for a bite to eat and I would certainly recommend the food. 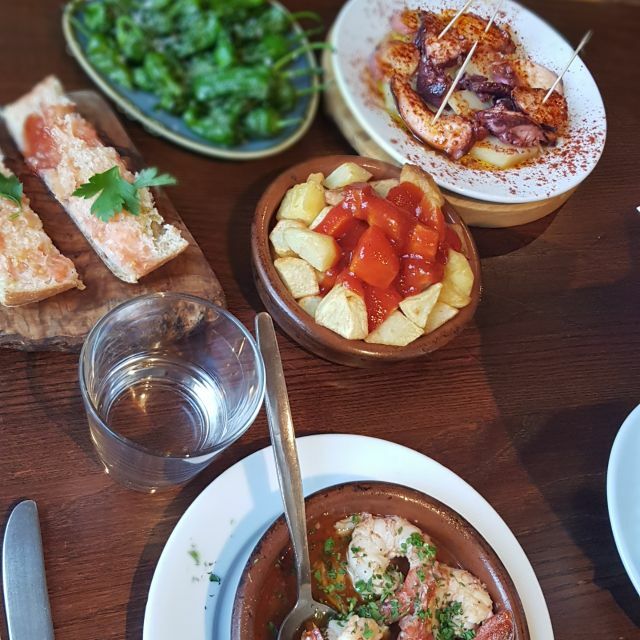 The options are tapas style and there are literally loads to choose from! We loved all of the food we had and will definitely be back to sample more. 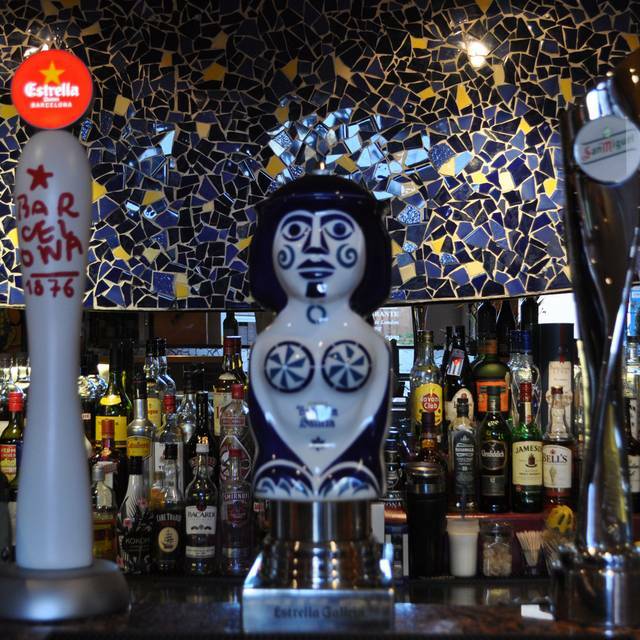 They also have a great selection of beers, wines and cocktails. The service was good but it was a little lackadaisical, owing to the relaxed vibe of the restaurant. Overall it was a really great night out. Restaurant was super quiet, but it was a Thursday evening. Staff were really good and the food was well cooked but the portions are not plentiful. We had a couple of jugs of Sangria followed by a really nice red Spanish blend Los Ochos, which I would recommend. In summary, nice place, nice food but a bit overpriced. Whilst the restaurant was quiet we had a fantastic time. The food was very authentic and the service was outstanding! Wide range of Tapas, very tasty. Friendly service, nice inside - definitely recommend! The four us ordered a spread of decent tapas. The best of our order were the bread with tomato, mushroom croquettes, calamari with black garlic alioli, galician octopus, pimientos padron and fried aubergine drizzled with honey. On a previous visit I thought the pigs cheeks were fabulous too. They accept the Tastecard on weekdays. Great food, very friendly staff! Also very good value for money. 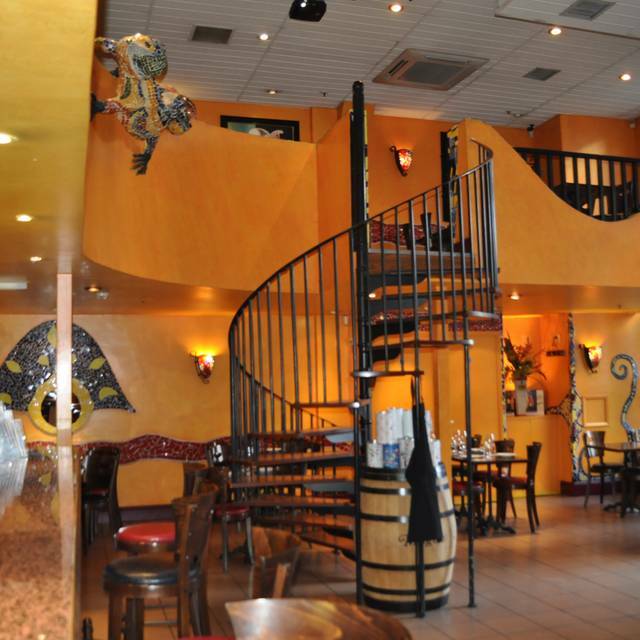 Lovely restaurant with amazing service, the staff were amazingly friendly and we enjoyed practicing a bit of Spanish. Highly recommended for a quiet meal out. Because the restaurant is in the City and it was a Tuesday night, the restaurant was a little quiet . The food was very good, with lots of choice. 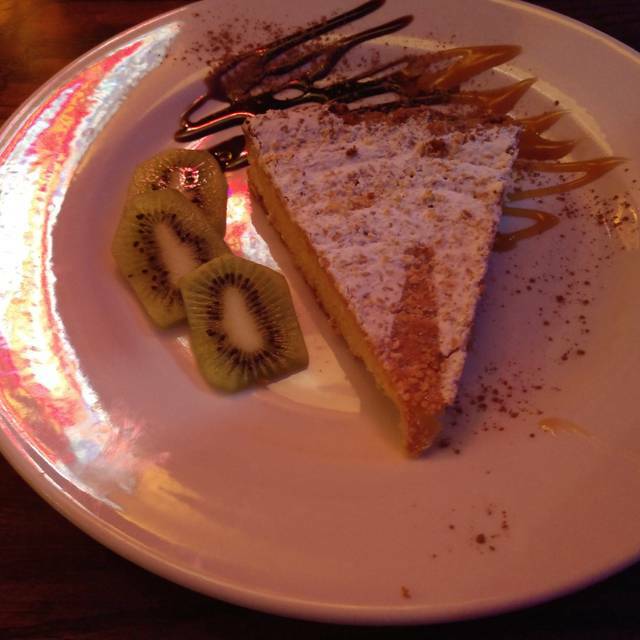 The staff were very friendly and helpful and were knowledgeable about the ingredients. It is quite a large restaurant so would be good for a group of friends or colleagues. We were delayed and they were initially hesitant to serve us stating that the kitchen closed at 10pm (it was 9:58pm when we arrived so this wasn't the Spanish hospitality I was hoping for). However, once the food arrived everything was good - especially the octopus! One dish was forgotten, but this was a blessing really as the portions were very generous - leftovers made for a yummy lunch the next day too! I took some guests out Friday 4th, returning to Barcelona after a long absence following an office move across the City. I'd forgotten how good the food was and how attentive and friendly the service was. My guests were very complimentary too. Many thanks to the staff for a very enjoyable lunch. 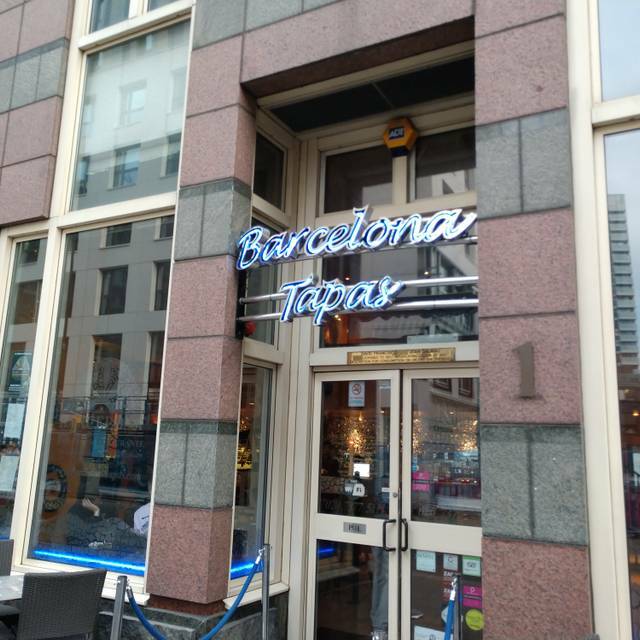 to Barcelona Tapas Bar with my daughter the website was impressive and as we were visiting on a Friday evening booked a table. Arrived with my daughter and ordered a jug of sangria at the bar which was weak. Subsequently we were shown to our table and order several plates of tapas. The food came up very quickly which is always suspicious and was not particularly hot. To be honest the food way okay but no better than what you would expect if you ate at the La Tasca chain of restaurants. The staff were lovely but for a Friday evening the restaurant lacked any atmosphere and was chilly. Have been to this restaurant on a few occasions now. This latest visit was by far the best with an attentive waiter and they'd improved their recipes on certain dishes. Thank you we will be returning.